Even though tomorrow is Thanksgiving, why not get ahead of the game and completely dive into a huge pile of everything fall? This recipe is definitely one for when the cooler weather creeps in and you want to get all cozy next to a fireplace. 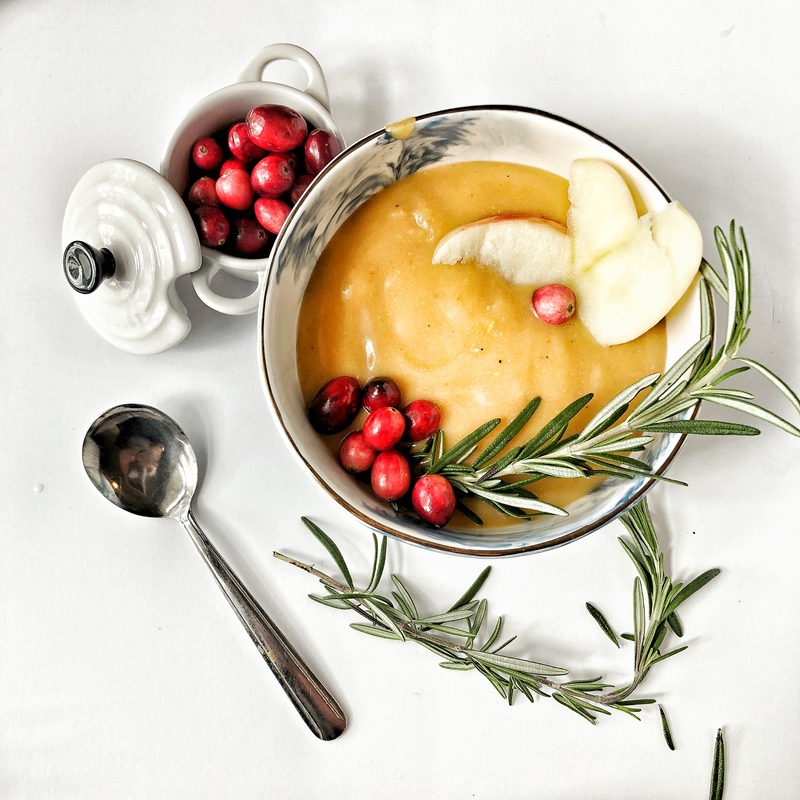 Plus, I love eating soup the day after Thanksgiving to give my digestion a bit of a break, as well as, feeling like I am not still stuffing myself while making sure I am still providing my body with healthy nutrients. 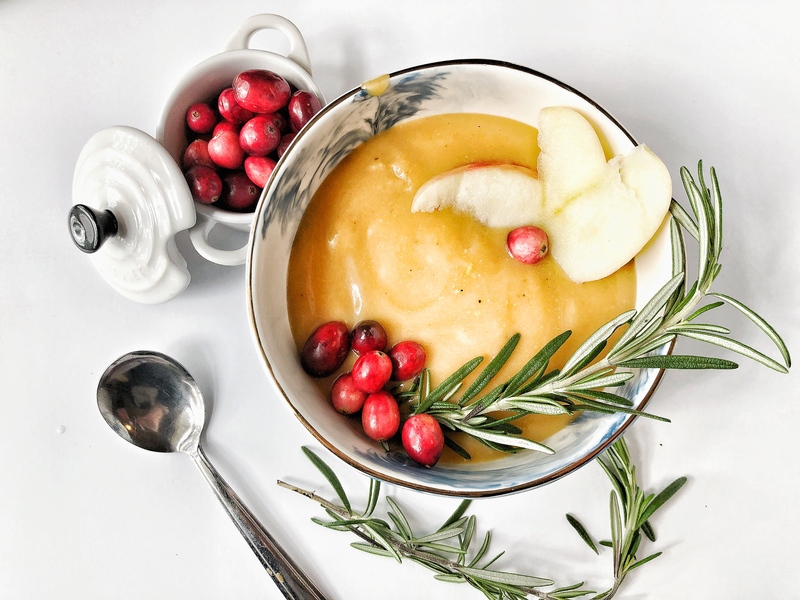 The star of this recipe is definitely butternut squash and here is how its nutrients measure up! And beneficial for your blood pressure. The real bragging right is a cup of butternut squash contains more potassium than a banana, measuring in at roughly 582 mg of potassium actually. In a large, deep stockpot or Dutch oven, heat the olive oil over low. Add the onions and cook until very tender. While the onions cook, cut and peel the squash and apples. Add them plus 2 tablespoon rosemary to the pot, then add 2 cups of the stock. Bring the pot to a boil, reduce the heat to low, cover, and cook until the squash and apples are very soft, about 20 to 30 minutes. 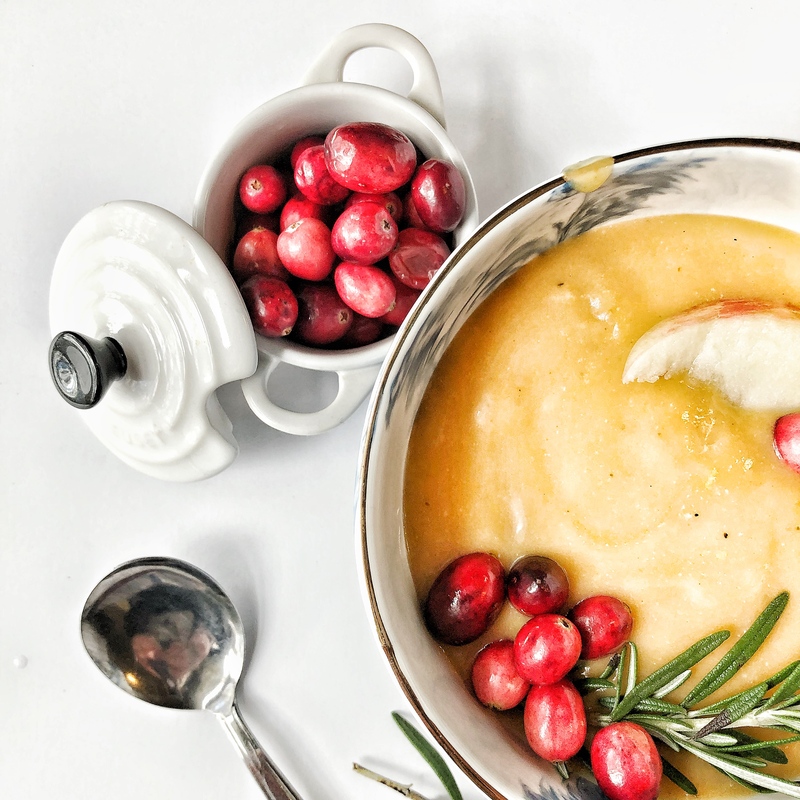 Once the apples and squash in the soup pot are tender, puree the soup with an immersion blender. Return soup to the pot once complete. Add 1 cup of the remaining chicken stock, then stir, adding a bit more stock as needed to reach your desired consistency. Stir in the salt, nutmeg, and black pepper. Taste and add a bit more salt and pepper as desired. Serve hot. Garnish with rosemary, optional. Here are some of our squash recipes? What are some of yours? Meatless Monday Featuring a Fall Favorite, Squash! Feeling a Little Backed Up?